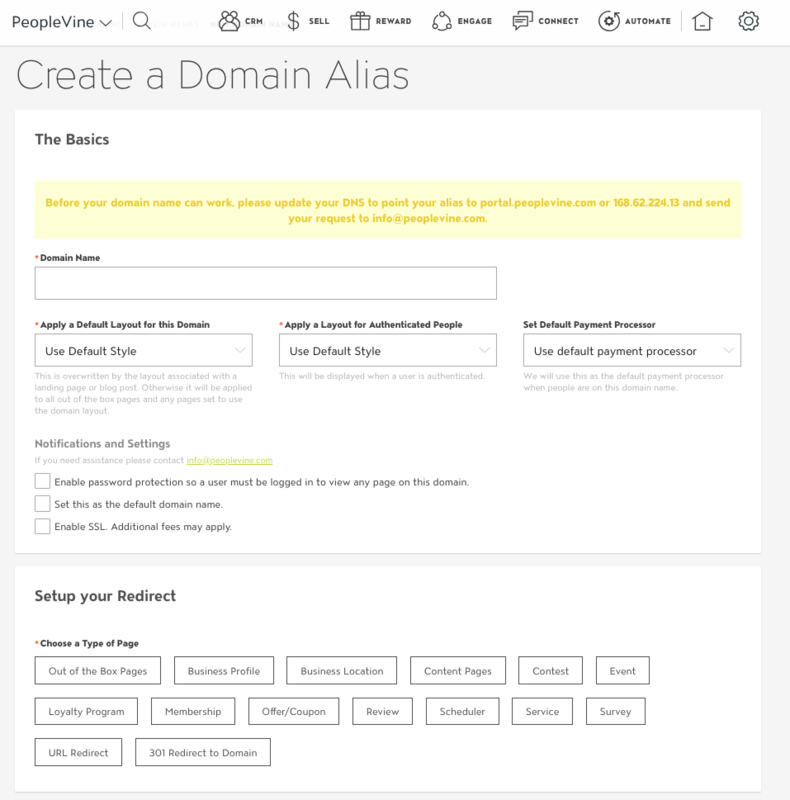 PeopleVine allows you to host your domain name and sub-domain names within our environment in an effort to drive traffic based on lead source and/or bring your web presence into our host free environment. 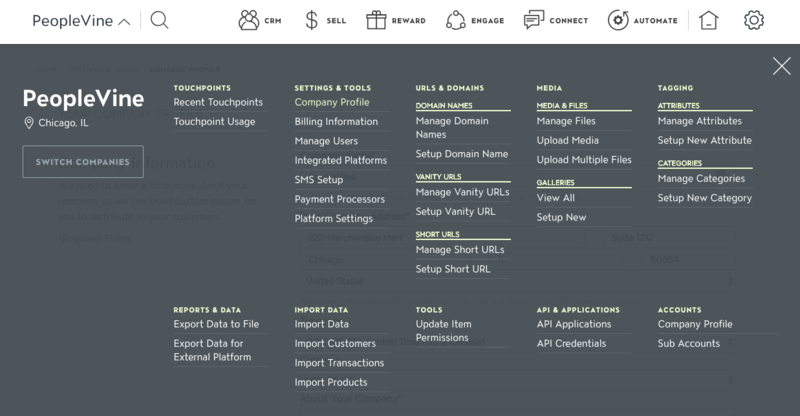 Select Domain Names under Settings and Tools. From this menu enter your domain name and select your page layout for use with the domain. 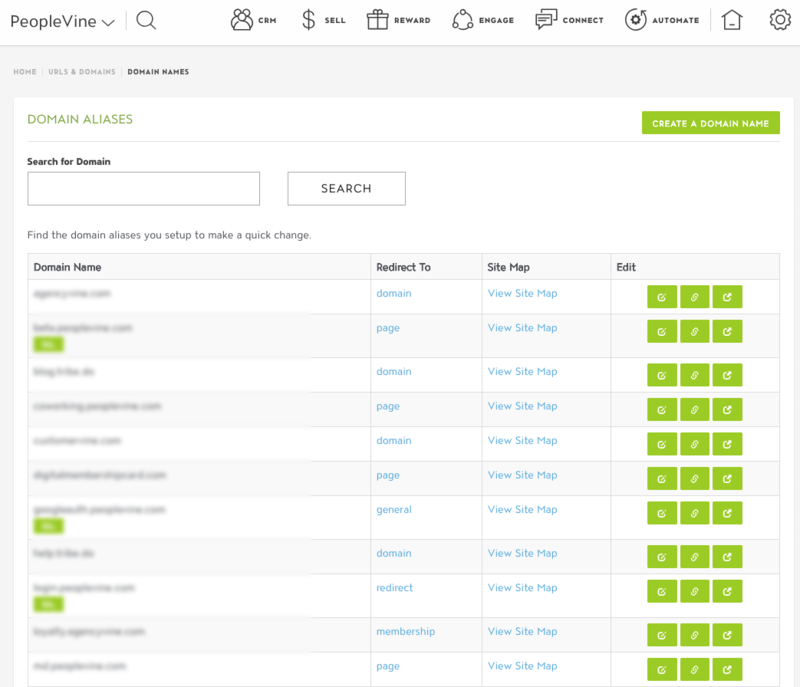 Finally configure your redirect for the top-level domain. When completing the previous steps ensure to check the "Enable SSL" box and we will assign a certificate to your domain. Once you're done with these steps, fill out this form and we'll complete the process. We allow you to setup domain names under the following URLs and they work right away!